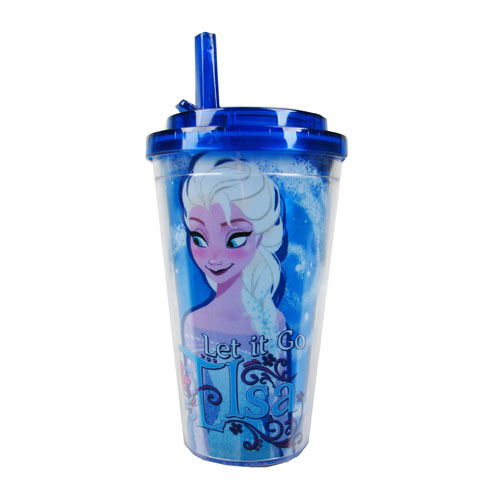 Keep your drink cold with Snow Queen Elsa from Disney''s hit Frozen film! This Disney Frozen Snow Queen Elsa 16 oz. Travel Cup features an iconic image of Elsa from the movie using her frozen ice and snow powers next to the words, "Snow Queen." Able to hold up to 16 ounces of liquid, this great travel cup comes with a sturdy lid and straw! Hand wash only. Not dishwasher safe. Do not microwave. Ages 12 and up.